When Apple said it had a lot to cover today, they were not kidding. In addition to unveiling a new iPad mini and releasing Mavericks as a free update, among other things, the company also revealed new versions of iLife and iWork for its desktop and mobile operating systems. All apps have been redesigned to take advantage of OS X Mavericks and iOS 7, and have been updated to 64-bit and integrated with iCloud. 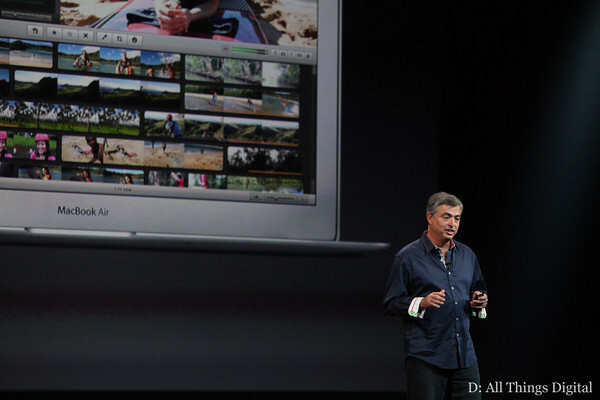 The new software will be free with the purchase of any new Mac or iOS device. ILife, iPhoto, iMovie and Garage Band now offer a simpler and cleaner design. Of the apps, Garage Band received the biggest update. Garage Band for iOS now supports 16 tracks (up from eight). If you have an iPhone 5s or a new iPad, that number jumps up to 32. You can also share songs via AirDrop or work on tracks on multiple devices via iCloud. On the desktop version, a new feature called Drummer adds a variety of drummers that can play along with your songs. In iPhoto, you can now create photobooks on your mobile device and then have a hard copy shipped to you from Apple. Meanwhile, a feature in iMovie called Movie Theater allows you to watch your iMovie clips across multiple devices as long as they’re stored in the cloud. On the mobile side, you also get picture-in-picture and split-screen options, the ability to speed up or slow down clips and other editing tools. On the productivity side, the new iWork, which includes Keynote, Pages and Numbers, brings full file compatibility and the ability to collaborate with others via iCloud — a move that puts Apple closer in step with Google and Microsoft in this area.